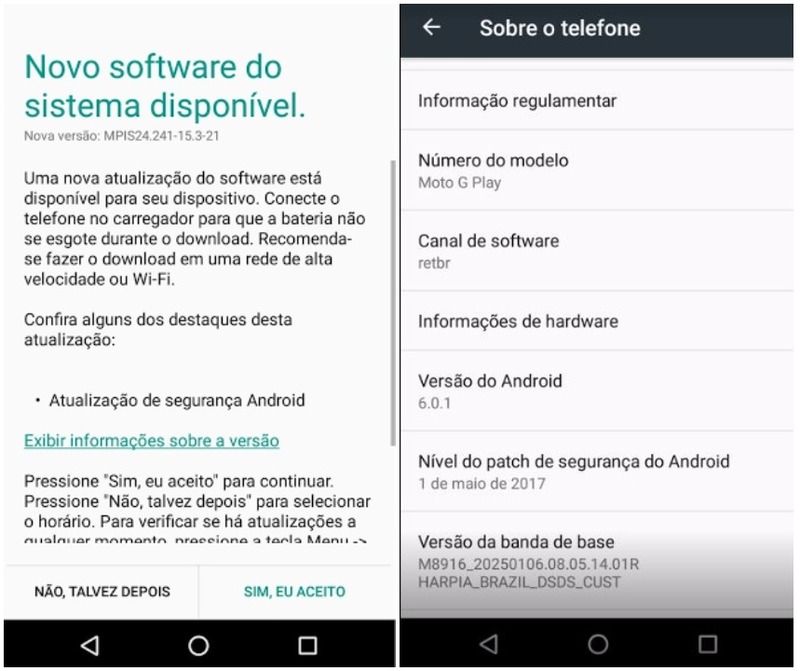 May Security Patch Is Now Rolling Out To The Moto G4 Play In Brazil - AndroGuider | One Stop For The Techy You! The Moto G4 Play has been talked about quite a lot recently, since the promised Android Nougat update for the phone is finally in soak testing stage. Now, a few weeks after the soak tests started, users in Brazil started seeing update notifications on their devices. While this was thought to be the Nougat update, it turned out to be a simple security patch. The Nougat update should be coming soon but for now, this 44MB security update bumps up the security patch level of the device to May 2017. The build number for the update is MPIS24.241-15.3-21 and it should make your device ready for the Nougat update. If you haven't received the update yet, you can manually check in Settings>About Phone>System Update or just wait as the OTA should be rolling out to all users in a week.